I have to admit, when Ray is in one of his immobile moods, things can get a bit, uh, slow. You have way, way more patience than I do. I love Zoe to death, but that would drive me crazy!! Good thing that at 15 yrs old she still thinks she is a 12# sled dog. Y'know some days I can get him to move. Some days I can't. And for some reason people really look askance at me when I'm dragging my dog down the street. OMG, that is a great idea. 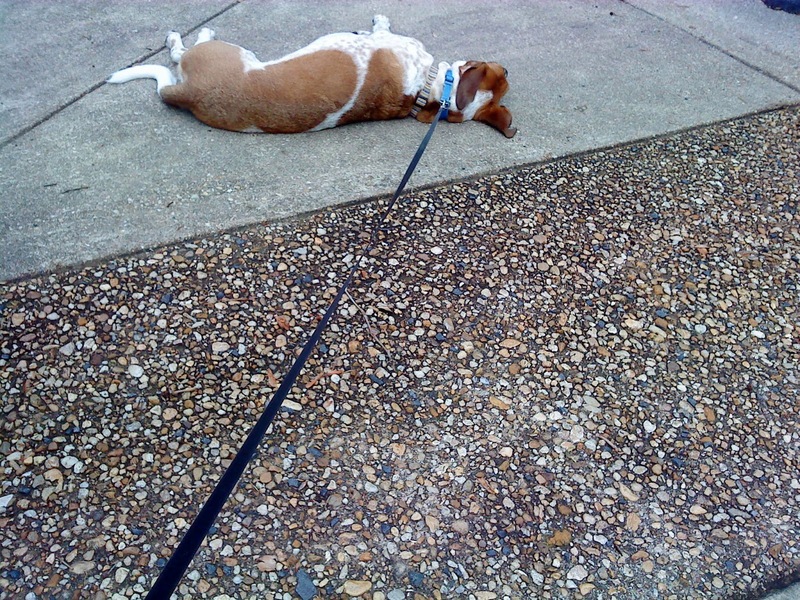 Now that it's turning hot, our walks are going to be severely truncated. I'm the only person I know who gains weight in the summer because I get so much more exercise in the winter. That was a hilarious post! I've never experienced anything like that with my blind trio, they always want to get going and "see" what else there is. 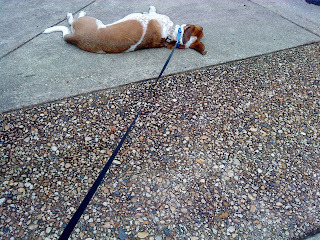 Glad that you made the best of your walk! Yeah, I'm sure this is not a common problem with cattle dogs. Lazy hounds are something else entirely. Can't wait for the sk8board vid - avec Beach Boys or Trashmen?